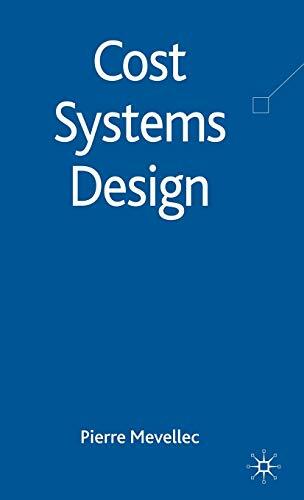 Cost Systems Design: 9780230224421 Hardcover - LIMEROCK BOOKS INC. Starting from the economic modelling of the organization, this innovative book proposes a mapping of all types (conventional and ABC) of cost systems currently in use. Design and relevance are formalized using a short list of parameters. The theoretical proposition is illustrated, through 19 systems built on a unique database. PIERRE MEVELLEC is Professor Emeritus at University of Nantes, France. He has been Head of a master in Management Accounting for 18 years and he wrote 5 books on financial and management accounting and more than 80 papers. He was also first award winning of the 'Articles of Merit' organized yearly by the FMAC.